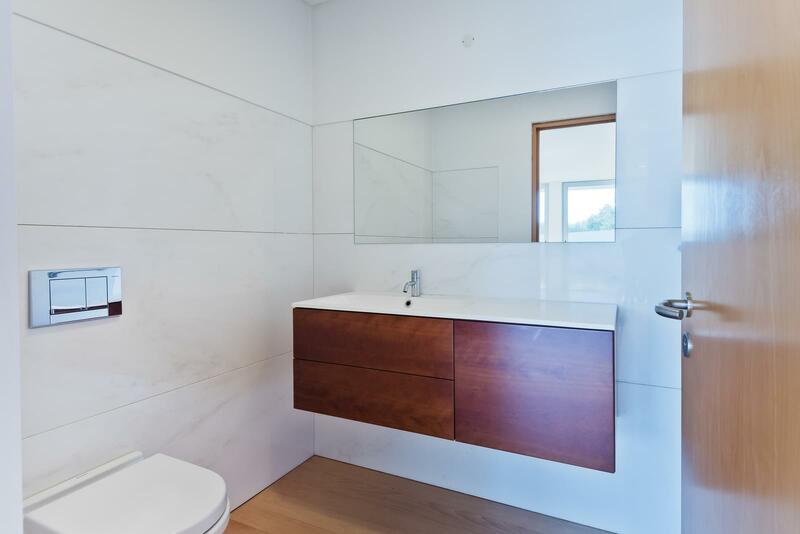 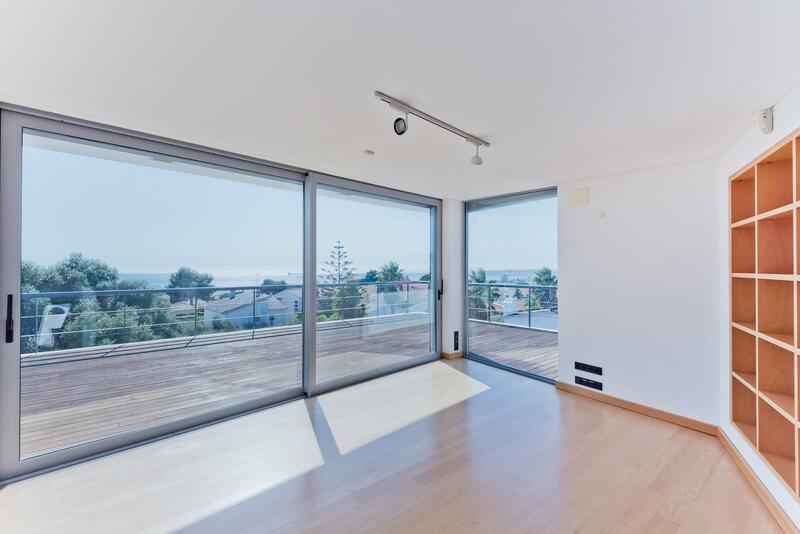 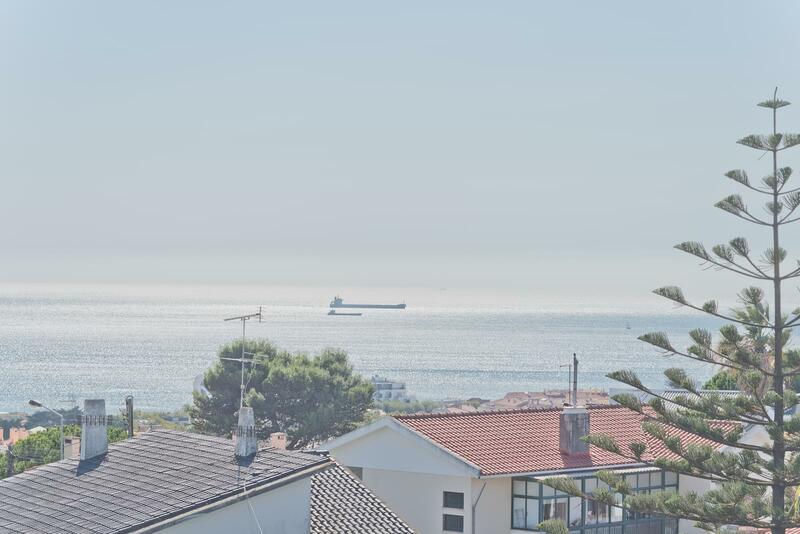 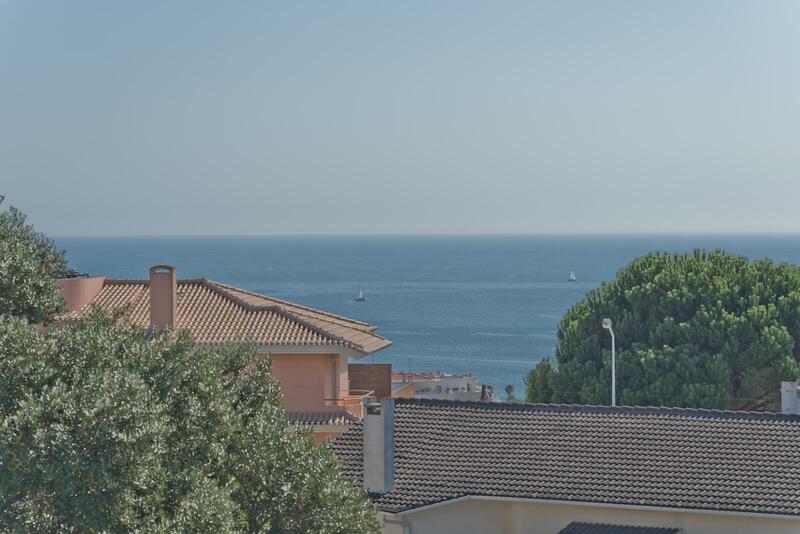 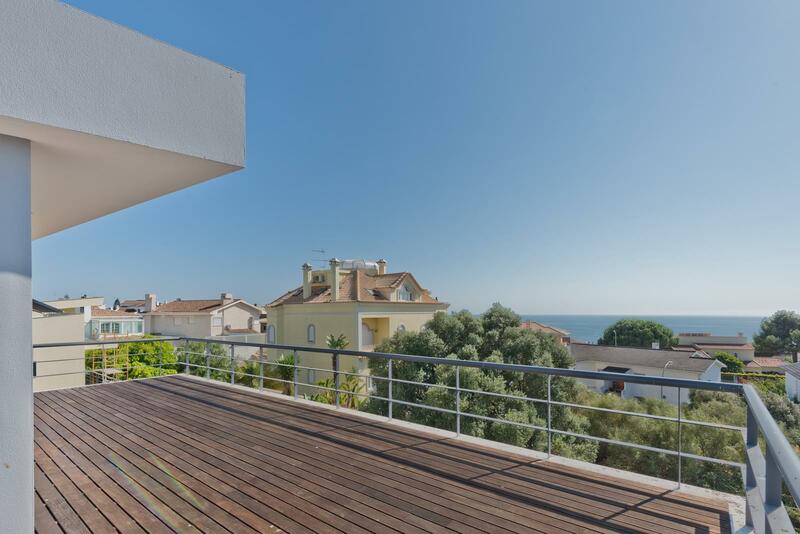 Parede, with a fabulous sea view, and also to the Cascais Marina and the Cascais Bay. 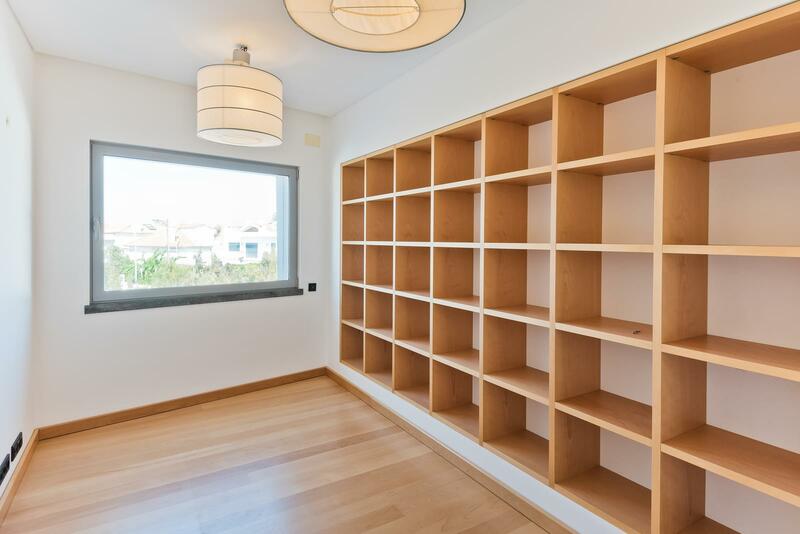 With premium finishes, a 453 sqm construction area, inserted in a 640 sqm plot of land. 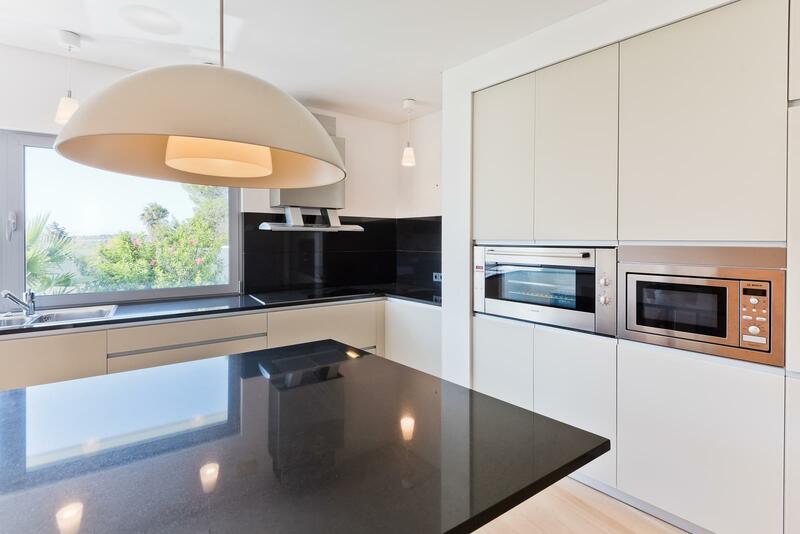 It is composed as follows: On the central floor there is a 12 sqm hall, a small office, a 53 sqm living room with fireplace and heat recovery unit – M design – Luna Gold 1300, with access to the terrace and garden, a 24 sqm italian kitchen (Valcucine) totally equipped with Miele and Bosch household appliances, with a central island made of black granite (Zombabwe) and social bathroom. 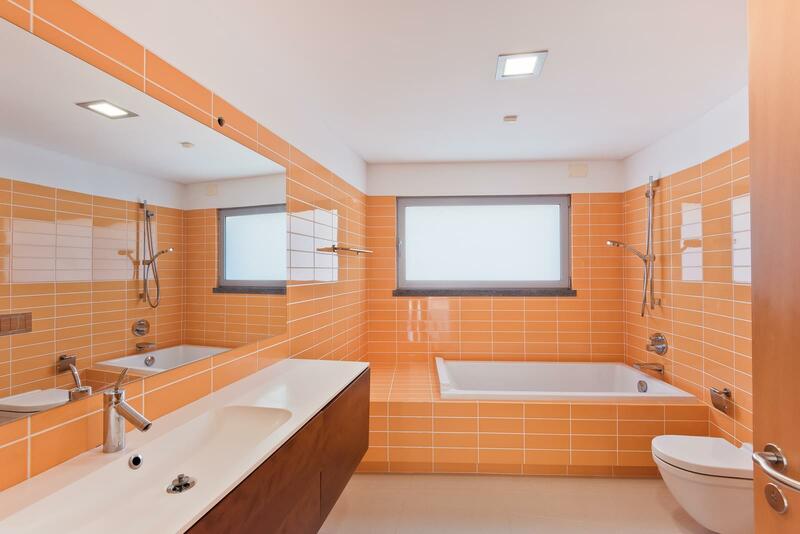 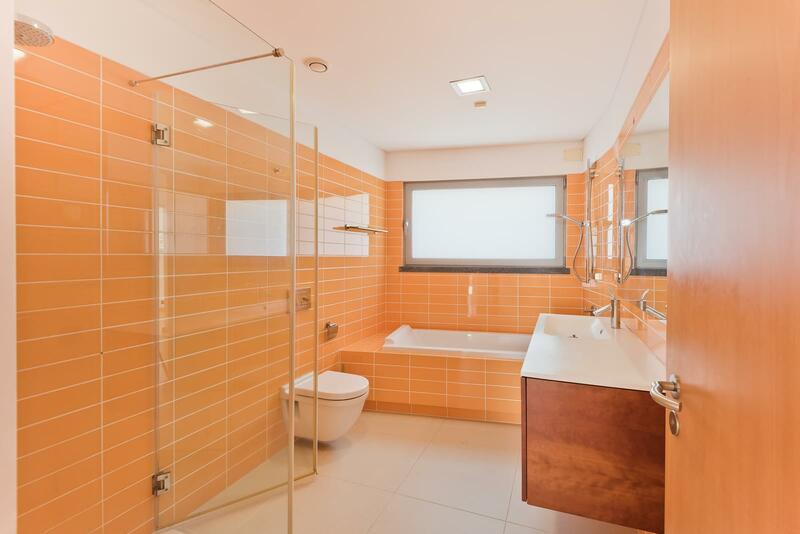 On the first floor, in the circluation area, there are three bedrooms (14, 15 and 15 sqm), with a 7,5 sqm full private bathroom and a 29 sqm suite with walk in closet and a full private bathroom. 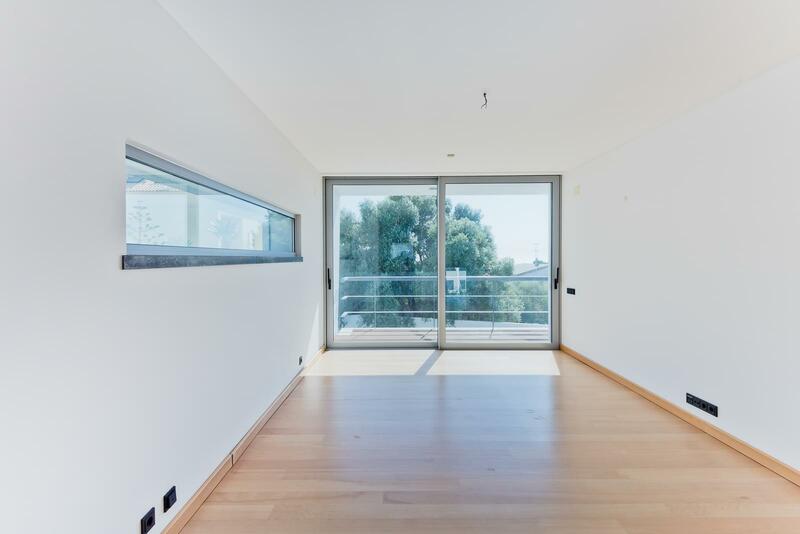 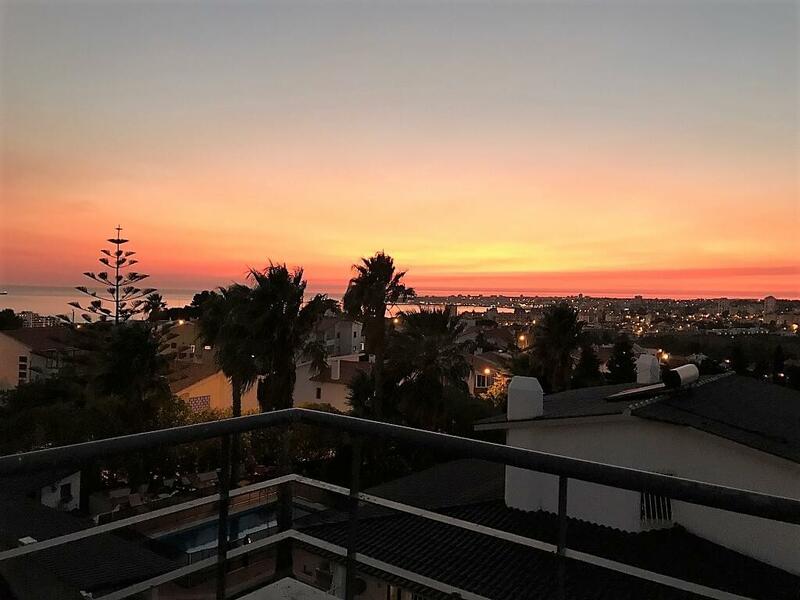 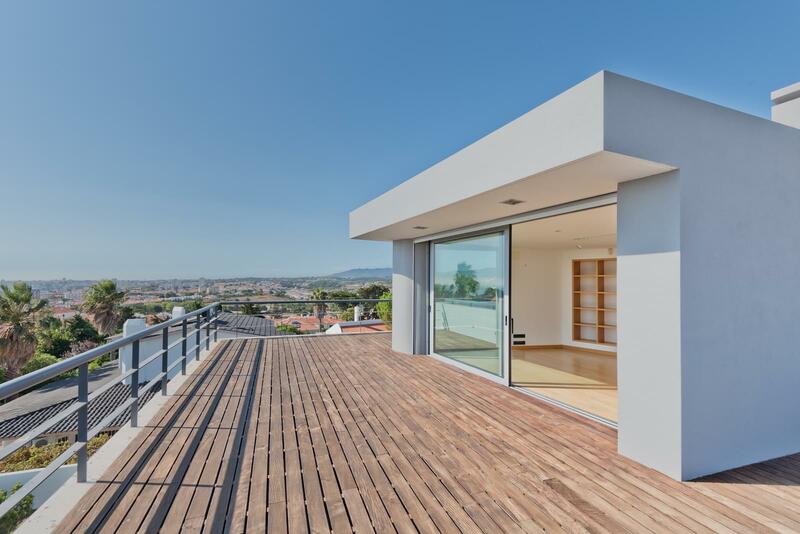 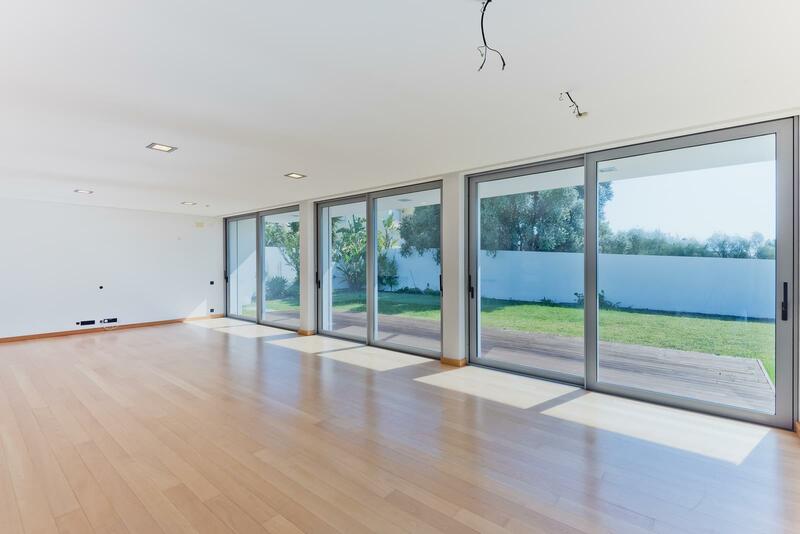 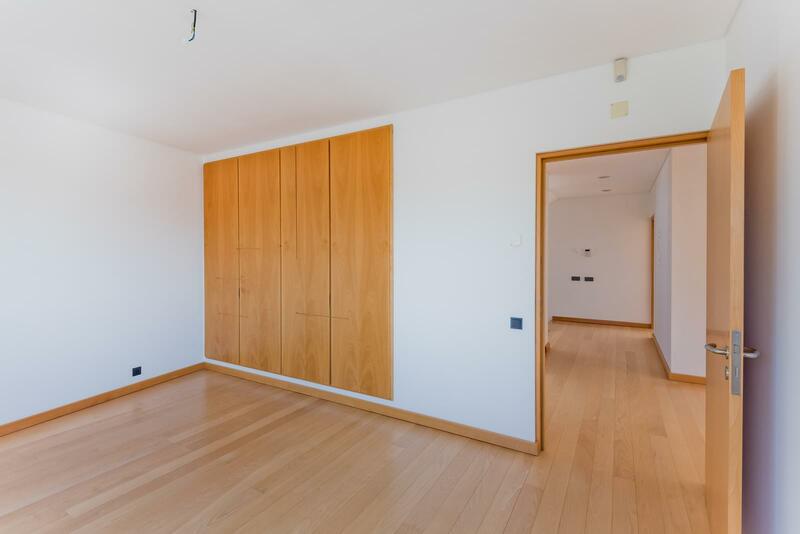 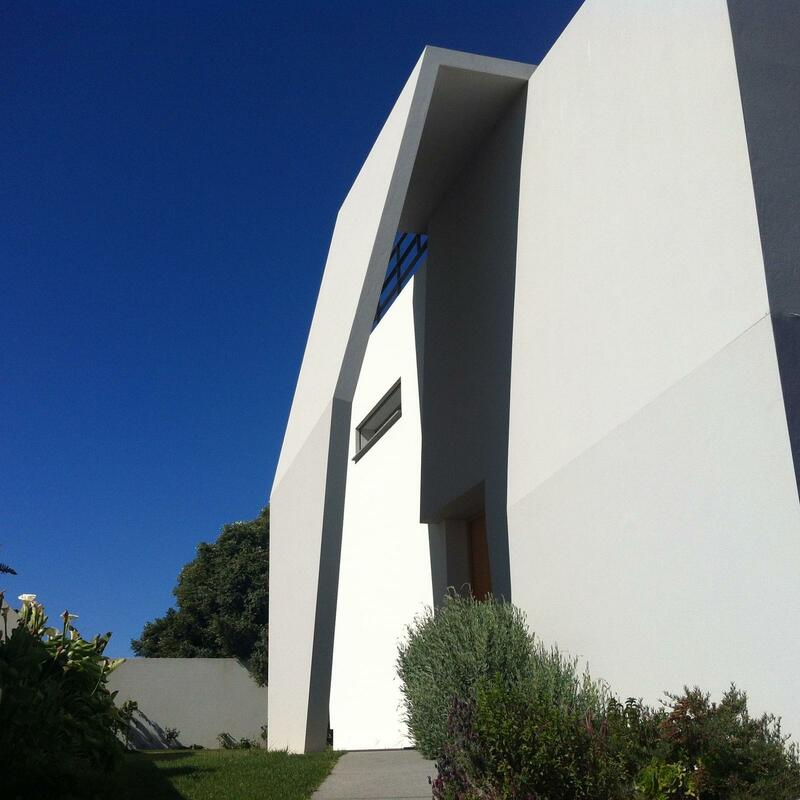 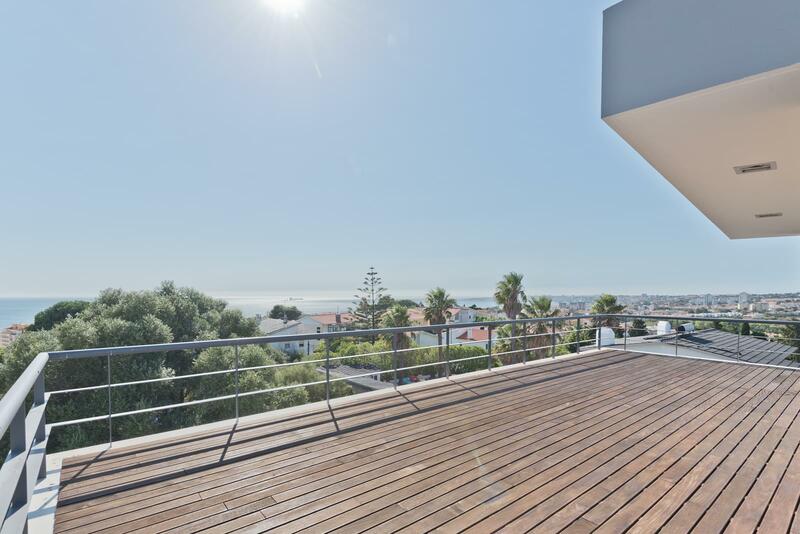 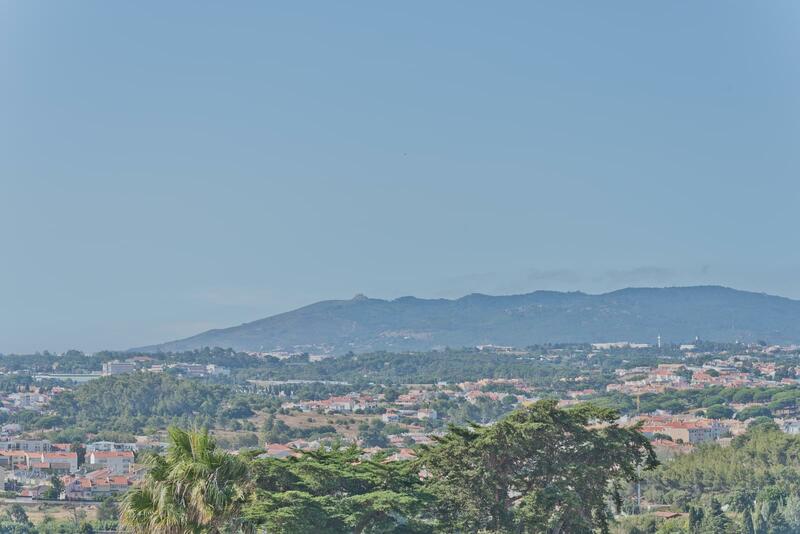 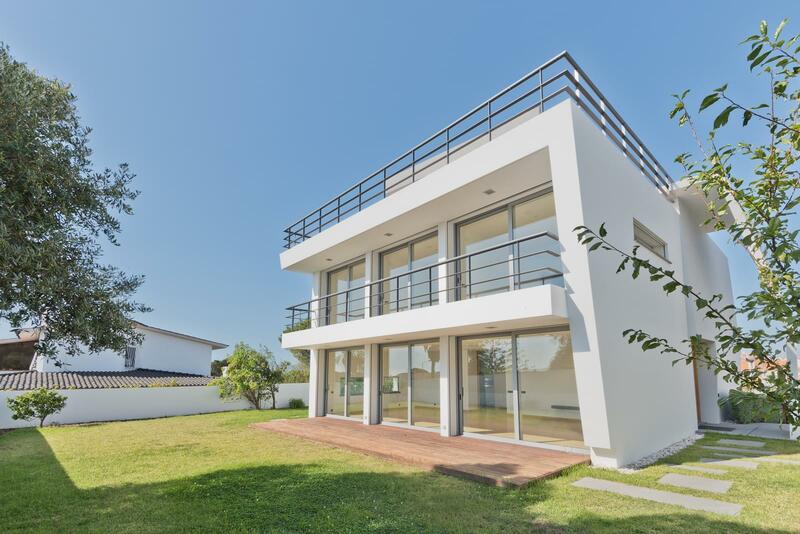 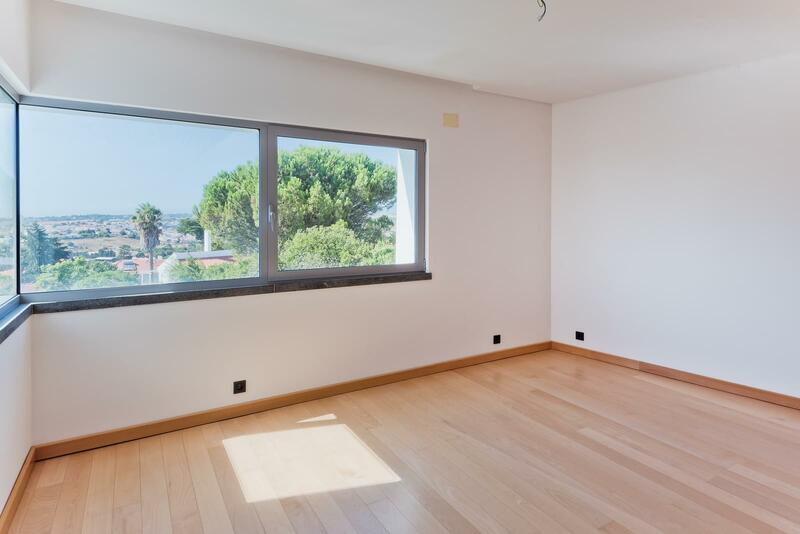 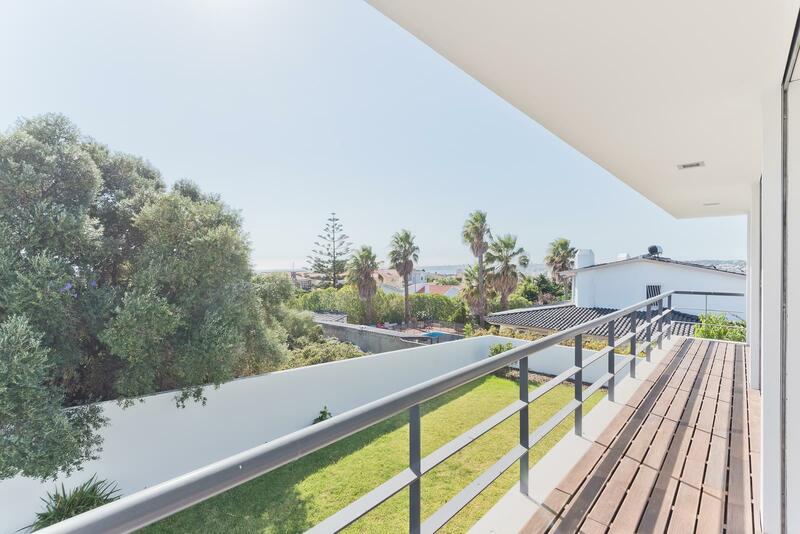 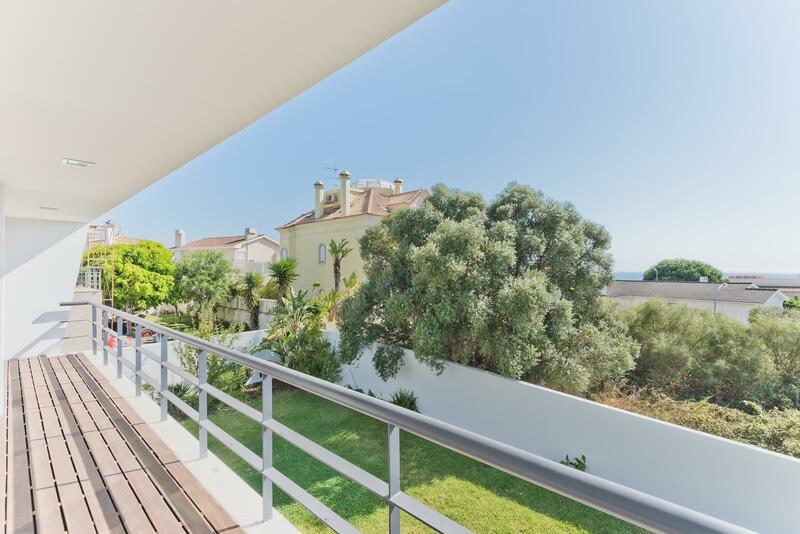 On the top floor there is a 19 sqm office/bedroom with access to an ample terrace with a 180º sea view, also to the Cascais Marina and the Cascais Bay, as well as to Serra de Sintra. 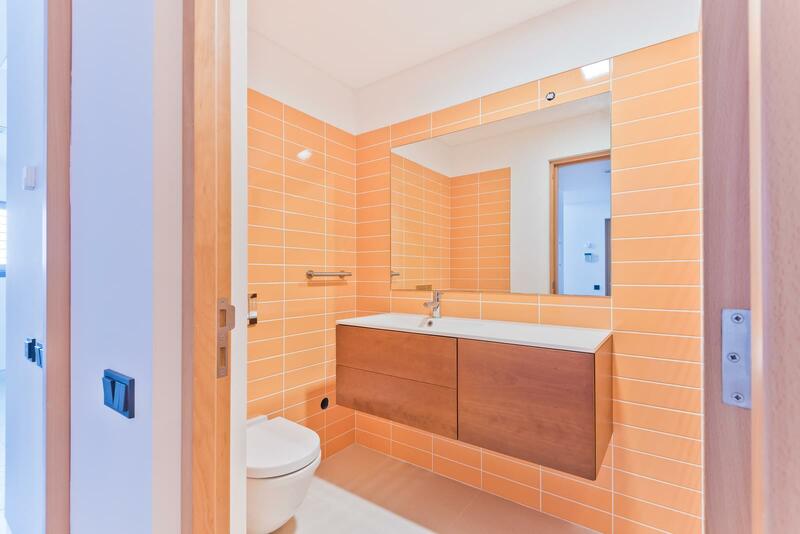 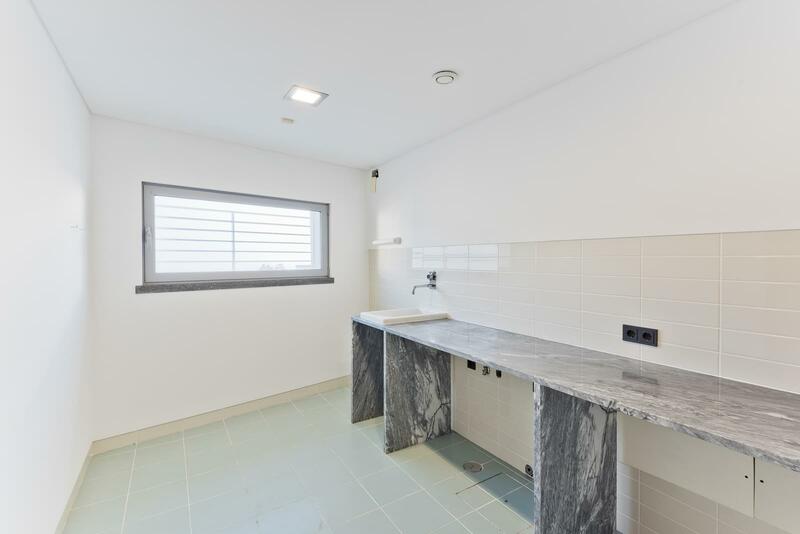 On the ground floor, a 57 sqm garage, a 9 sqm laundry area, a 26 sqm games/cinema room and a social bathroom. 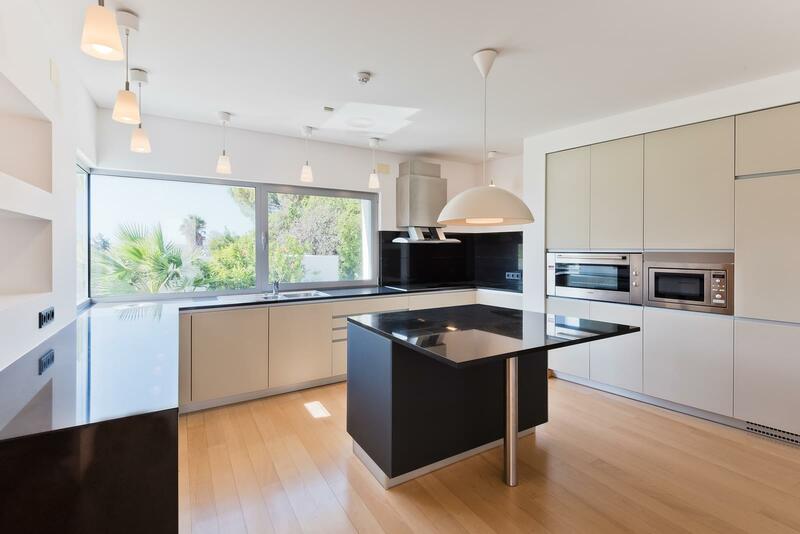 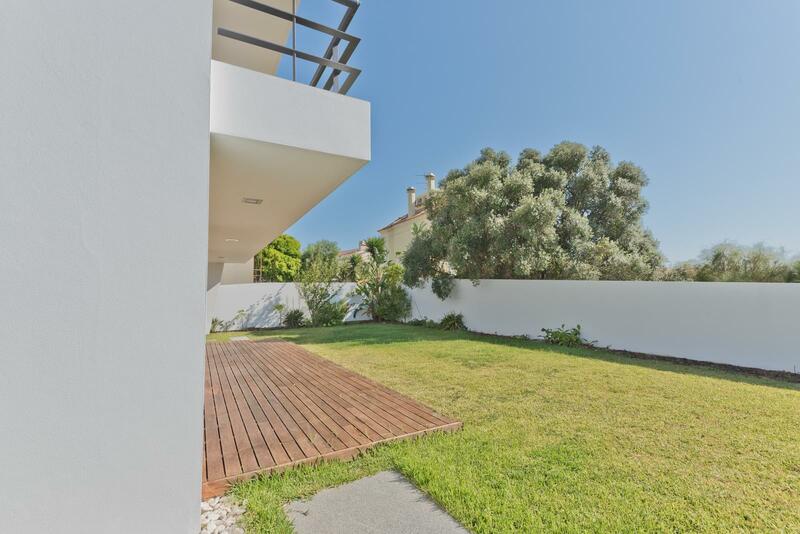 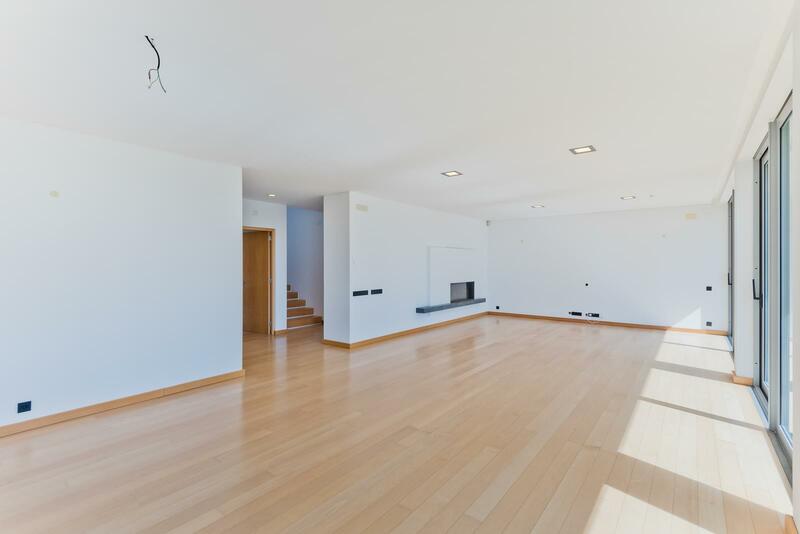 Magnificent as good as new villa in a residential area, extremely close to the beach, Marginal and A5. 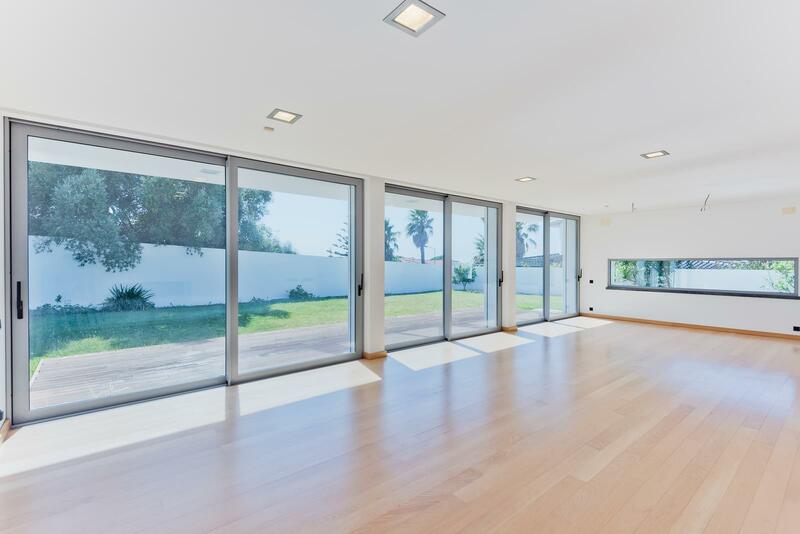 With noble finishings, all the house has radiant floor heating (except in the garage) and the rooms have wide windows, which provide a fabulous luminosity to the house.